Before we get into the meat of my review of Terminator: Salvation, I feel that I should put my viewing into context. Despite its being released nearly a month before, I didn't get around to watching Salvation until after I had watched Transformers: Revenge of The Fallen, a film which, as my review will attest, I did not like at all. I feel the need to say this since I believe that I would have been much harder on Salvation if I had seen it earlier, but that the mind-numbing tedium and soul destroying awfulness of Transformers has led me to be much more gentle with McG's creation than I might otherwise have been. The background of the Terminator series has now become so convoluted, encompassing four films, a spin-off TV series and lots of ancillary materials, that to attempt to cover it all succinctly would be a fool's errand. Boiled down to the basics; it is 2018, the world ended at some indeterminate time in the past (used to be 1997, then 2003, not sure now) when Skynet, a computer defense system, became self-aware and attacked humanity. Mankind now exists scattered around the Earth in enclaves of resistance, one of which is led by John Connor (Christian Bale) who was always destined to be the saviour of humanity thanks to Skynet's repeated attempts to off him in the past. Connor discovers that Skynet has a list of targets for termination; his name is at number 2, at number 1 is Kyle Reese (Anton Yelchin), Connor's future father (though he is only a teenager, and won't actually become his father until he has gone into the past and impregnated Connor's mother. Head hurting yet?) Thrown into this milieu is Marcus Wright (Sam Worthington), a man who was supposedly executed in 2003, but has woken up in 2018 with no concept of what is going on or how he came to wake up naked in a muddy field. One of the defining characteristics of James Cameron's Terminator films was their intelligent science fiction concepts. There were plot holes, to be certain, since anything involving so much time travel and so many paradoxes is bound to fall apart under any level of scrutiny, but overall they were clever films that mixed spectacle with ruminations on fate and destiny. Terminator: Salvation does not have this. It is full of plot holes, moments of narrative stupidity and, certainly in the final half, some truly ridiculous leaps in logic. At various points in the story, humans are surpised by GIANT ROBOTS which are able to sneak silently, but as soon as they are seen, make the sort of ungodly din that you could hear from miles away. Elsewhere, John Connor is able to hijack a machine by inserting a USB pen into it. That's right, Skynet built its troops to be USB compatible. Most damningly, the scheme of the machines falls apart with even the slightest consideration; why, if they had kidnapped the prospective father of their enemy would they not kill him as soon as they had him in their massive complex? If they didn't know that he was their enemy's prospective father, why did they kidnap him in the first place? And, once they had their enemy in their grasp, why would they only send ONE machine after him? It's a stupid film, pure and simple. The main problem with the film is that it is based on a logical fallacy; it assumes that what people found interesting in the earlier films were the brief glimpses given of the future and the war with the machines. Whilst these may have been interesting, they were the least interesting moments in those films, compared to the discussions of fate and the tension that arose from people being forced to battle killer machines using inferior technology. They were chase movies in which the odds were heavily weighted against our heroes, whilst Terminator: Salvation is a film in which the humans have a fighting chance and no one is being chased. There is no tension and little in the way of conflict. However, whilst it may be as dumb as a bag of spanners and twice as blunt, at least the film has a handle on the spectacle side of things. Here is where the film gets one over on Transformers; when they have giant robots on screen, at least they have the sense to have them in frame for more than a second, and the camera remains steady for long enough for us to tell what is happening. The set-pieces in the film are fairly unoriginal, seemingly pieced together from other films, but they are fairly well put together and kept me interested. The trump card for the film, though, is that it has two engaging performers at its heart. Surprisingly, one of them isn't Christian Bale, who delivers a whole performance in BatGrowl that isn't just phoned in, it's practically Tweeted. He's absolutely lifeless as John Connor and you really don't care if he leads the resistance or not. No, the two engaging performers are Anton Yelchin and Sam Worthington, who both sink their teeth into their roles and deliver solid, believable performances. Yelchin, who earlier this summer was hilarious as a young Chekov in Star Trek, is plausibly hard-edged and convinces as a teenager who has lived his whole life under this pall of constant war, and his scenes with Sam Worthington are a highlight of the film. Sam Worthington is a highlight unto himself, though, and I was really taken with him as Marcus Wright. The role is a fairly thankless one since his character's development is so painfully obvious, but he really sells Marcus's internal conflict and a sense that he does not know who or what he is. I'm really looking forward to seeing what he does next since he seems to have a knack for getting life out of flatly written characters that could make him the best thing in any future blockbusters he deigns to appear in. 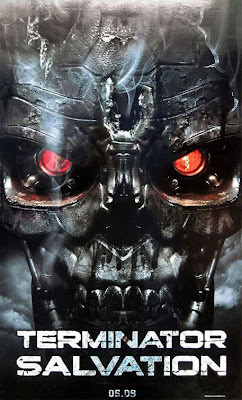 Terminator: Salvation is far and away the weakest of the Terminator series, lacking the tension and suspense of the earlier films' action scenes and being completely devoid of any of their philosophical depth. However, it's an okay action film that passes the time and, despite its rampant stupidity and gaping plotholes, is better than you'd expect.